Armenia is a landlocked and largely volcanic mountainous highland country, bordering on Georgia and Azerbaijan in the north, and Turkey and Iran in the south. It is part of the Lesser Caucasus, a range which runs parallel to the Greater Caucasus further north. Highest is Mount Aragats (4090 m), not to be confused with Mount Ararat (5137 m) which rises up from the same plateau not far away, but is in Turkey. Both mountains are extinct volcanoes. Towards the east of Armenia there is the wonderful Janapar long distance hiking trail through the Lesser Caucasus of Nagorno-Karabakh. But since this region is claimed by both Azerbaijan and Armenia, we will treat it as a separate country. Also, there are hiking possibilities up and around Mount Aragats, and there must be in the Tavush, Syunik, Lori and Vayot Dzor regions. Information on long distance trails and hiking is hard to come by. The website of the Armenia Tourism Development Agency giving some very scanty info and pictures on day hikes around Yerevan. 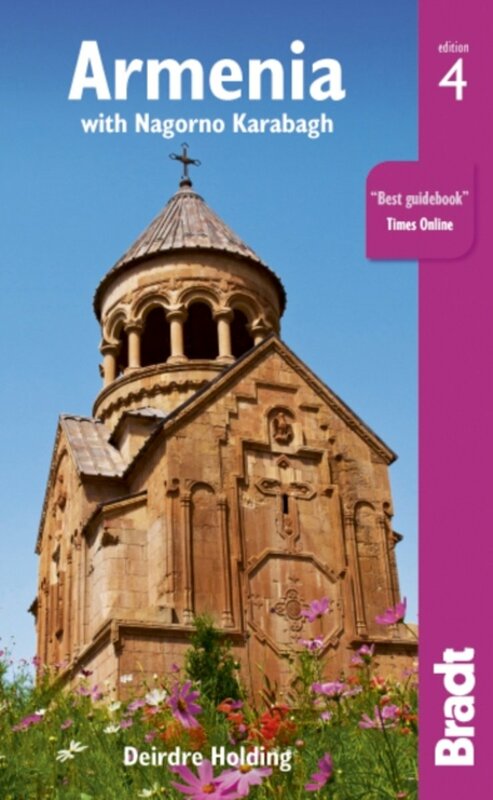 Guidebook by the Kanach Foundation with descriptions and maps of 22 day hikes in Armenia.